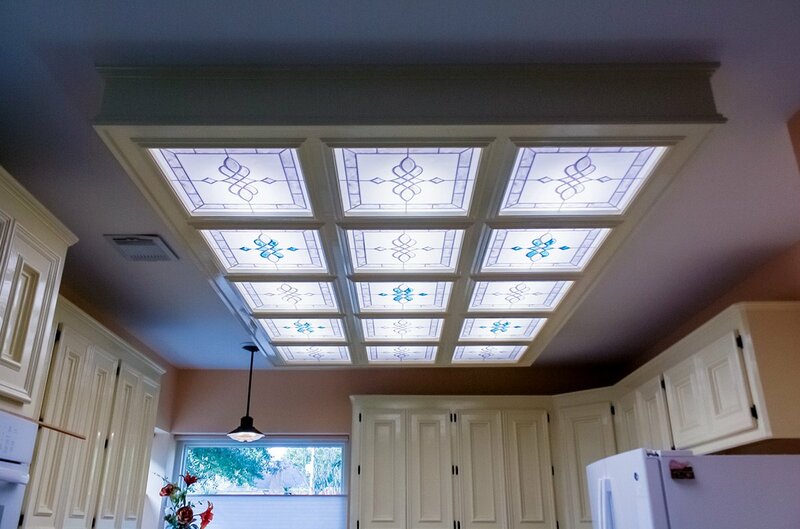 We are always appreciative of those customers who contribute to our showcase collection. 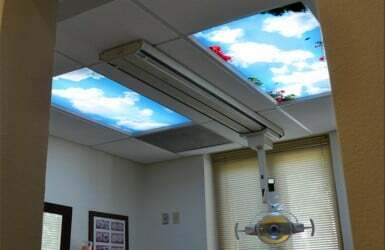 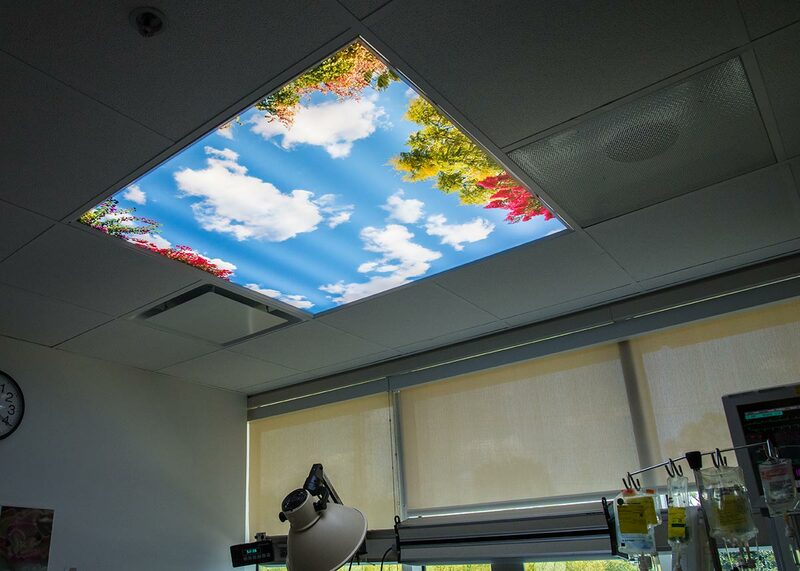 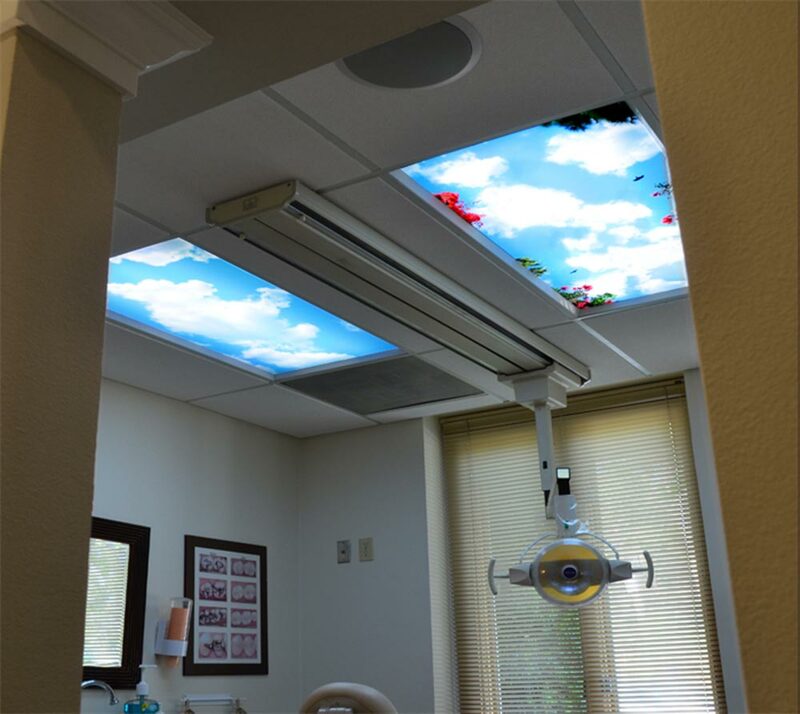 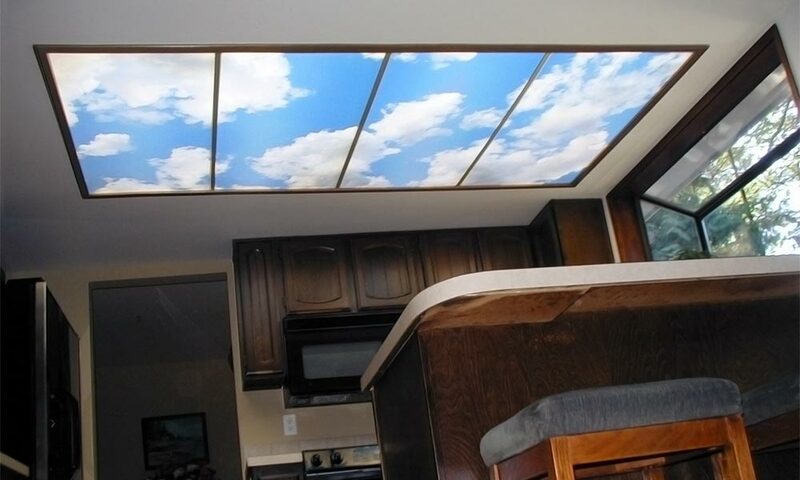 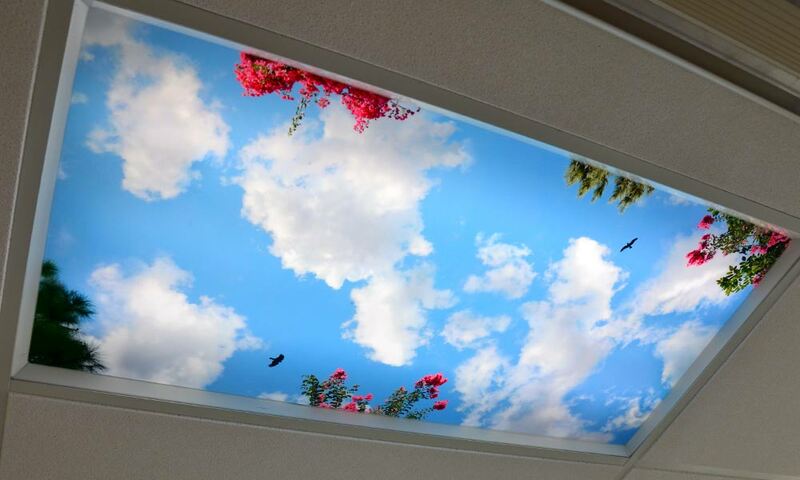 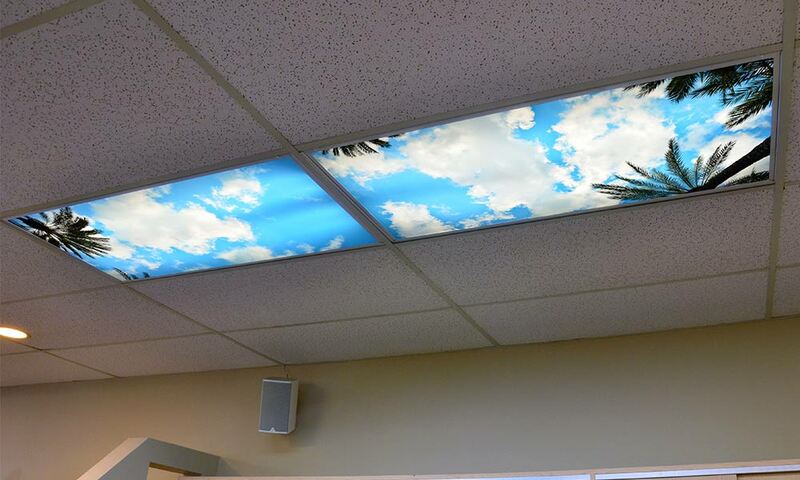 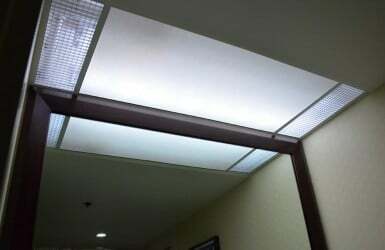 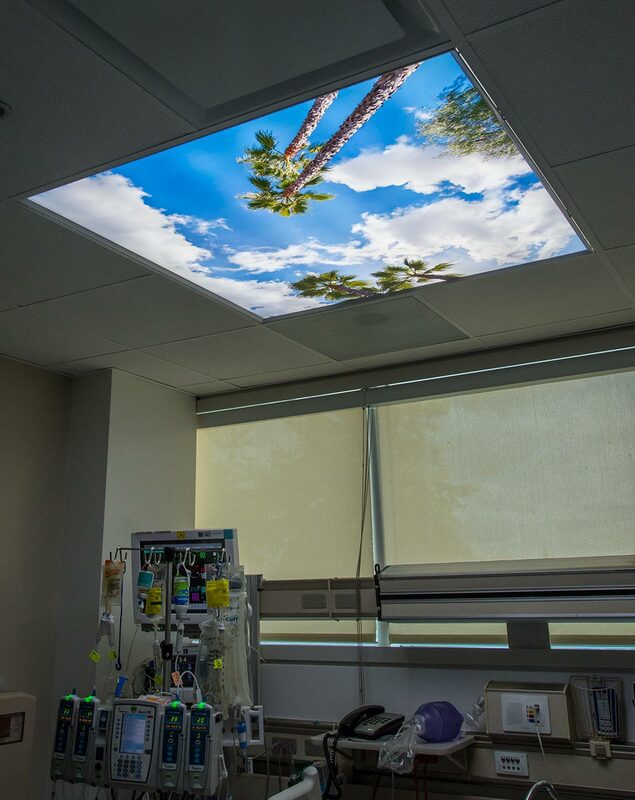 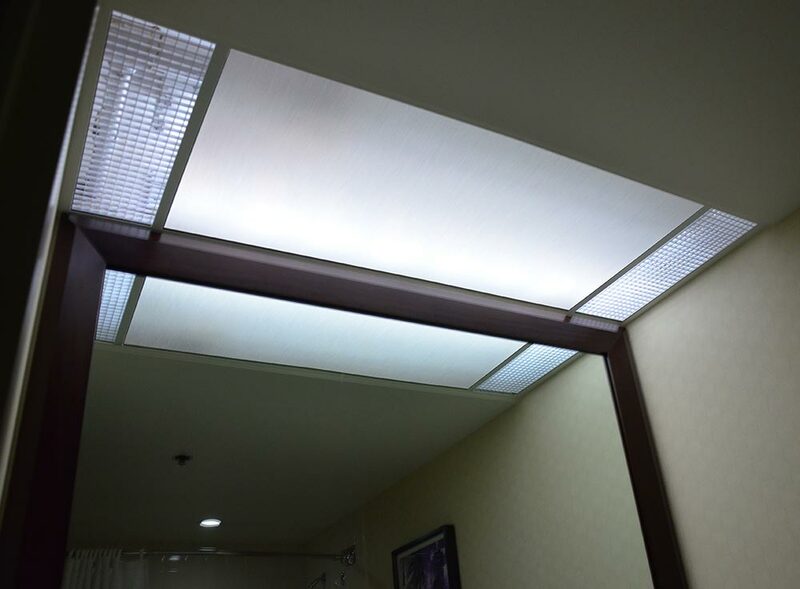 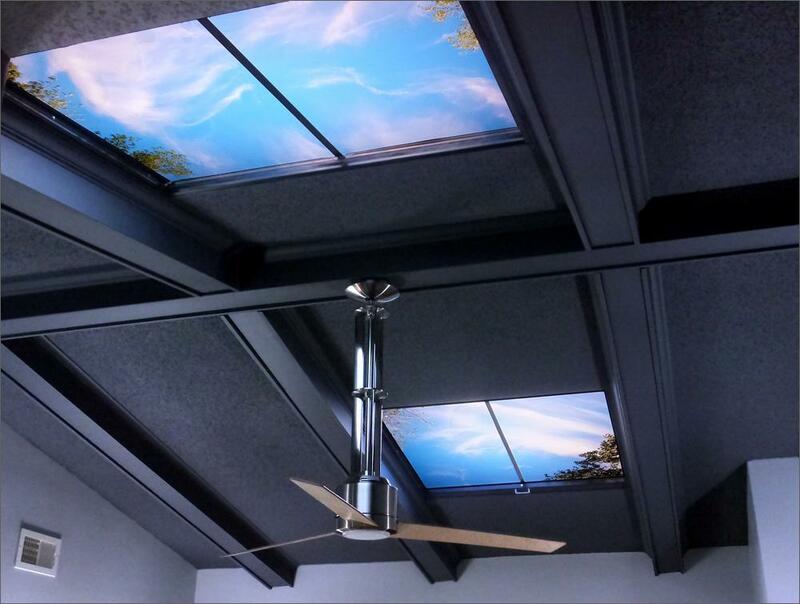 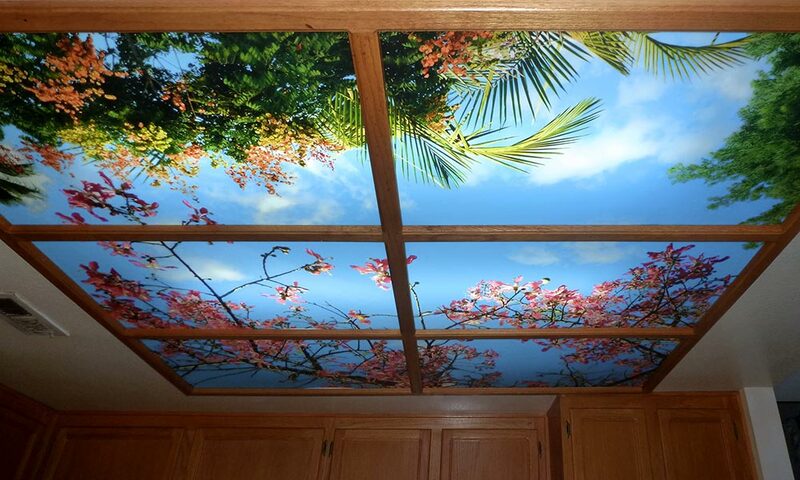 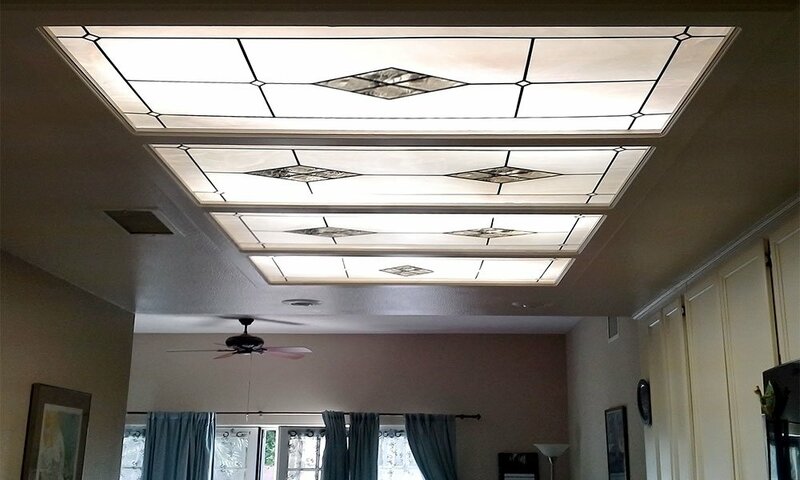 When you have your new Fluorescent Gallery light covers installed, just send your photos to us and we’ll show them off for you. 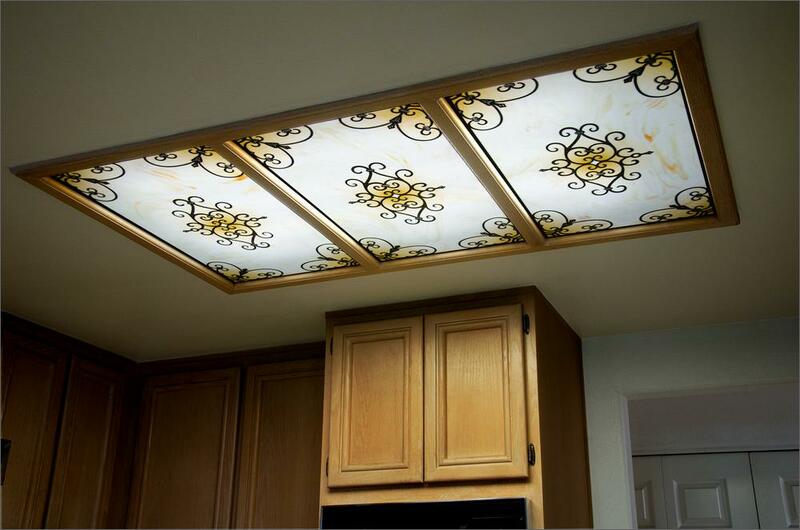 Click on any image to view the respective design. 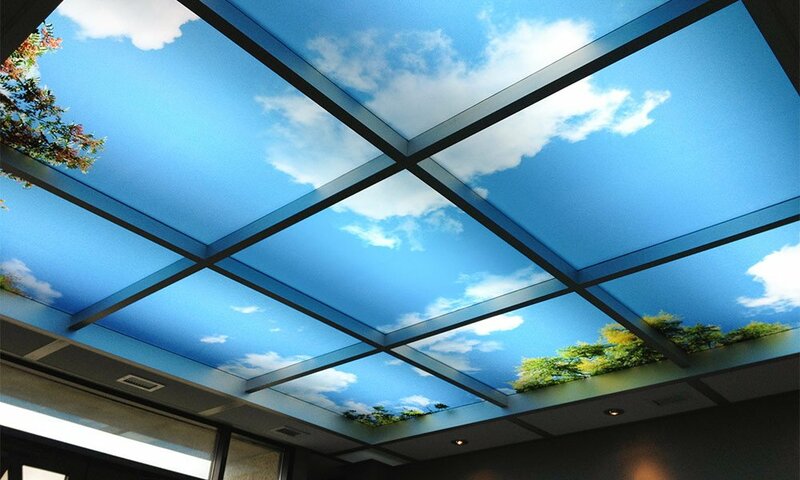 Some include a closer visual under More Product Images. 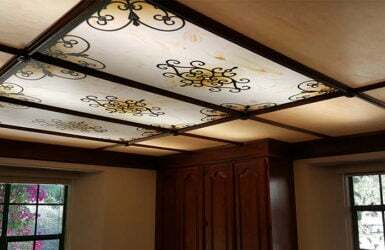 More installation photos can be found on our Blog page. 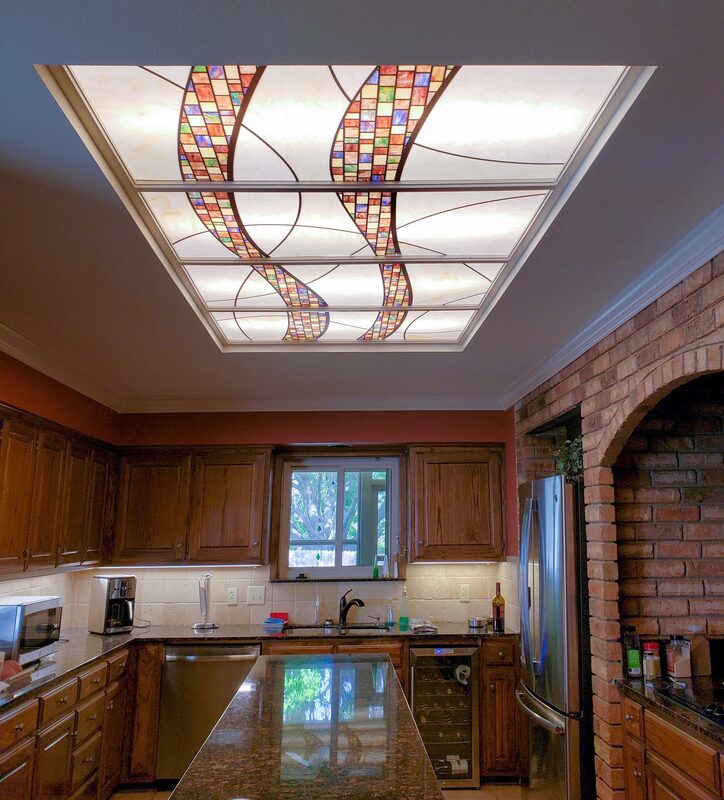 A Stained Glass 12 - Mosaic Highway 4 Panel Installation. 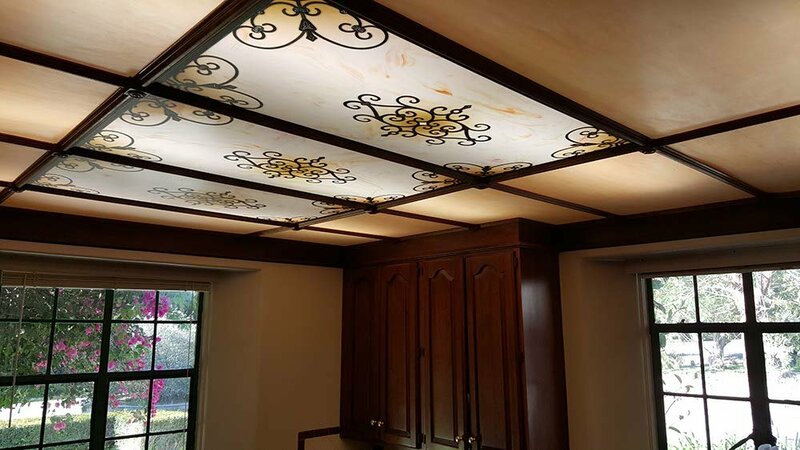 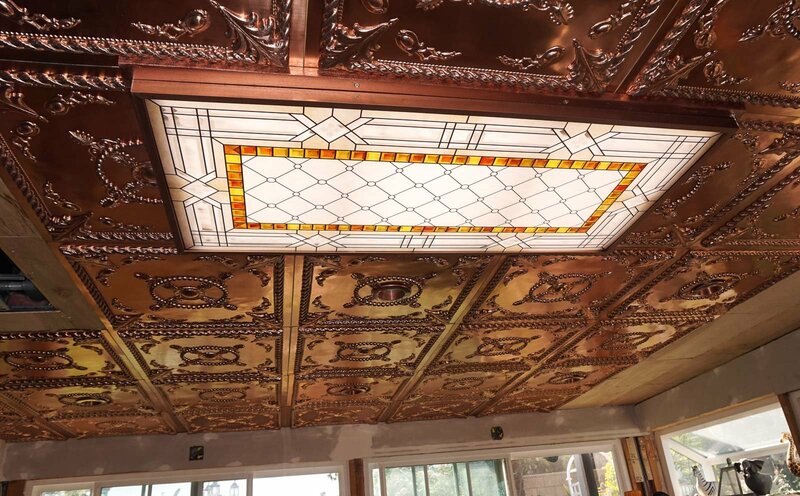 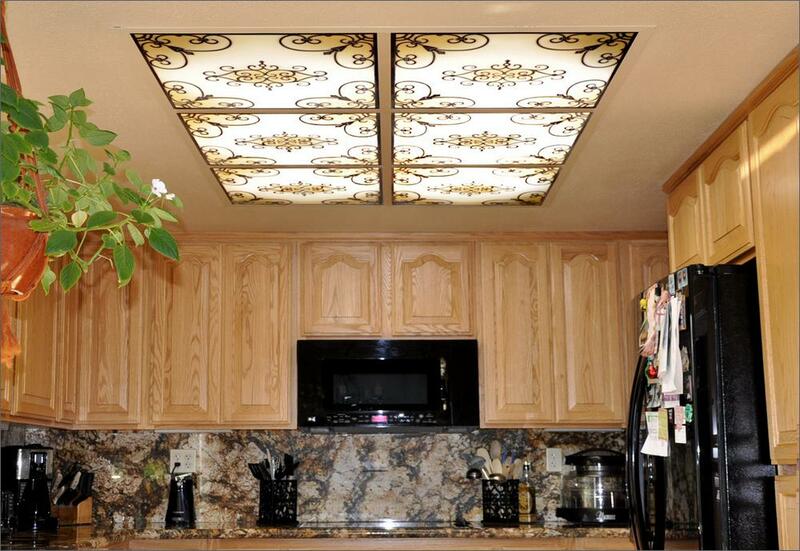 Dorothy's amazing copper ceiling with our Stained Glass 9 Beveled Glass light panel diffuser. 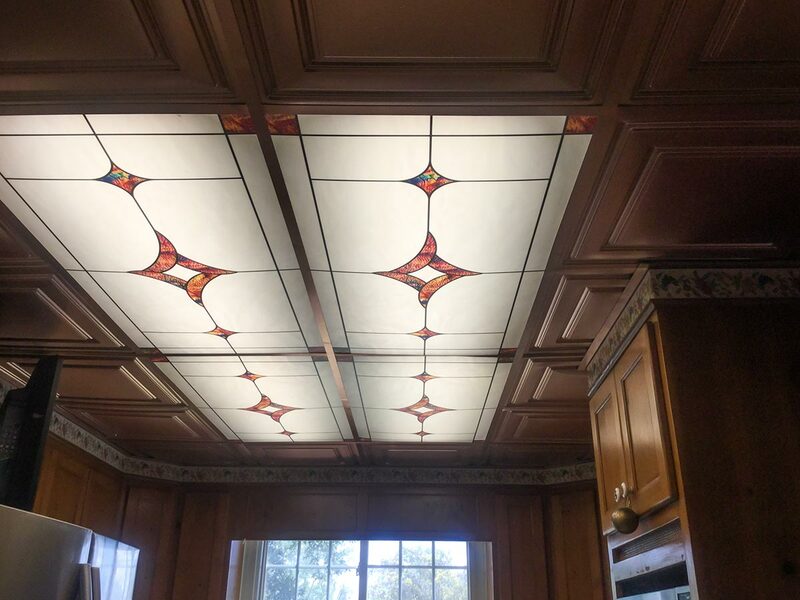 Larry's Stained Glass 11 2x2 panels. 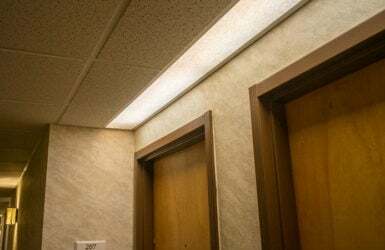 Mix of Pearl and a custom colored turquoise per his request. 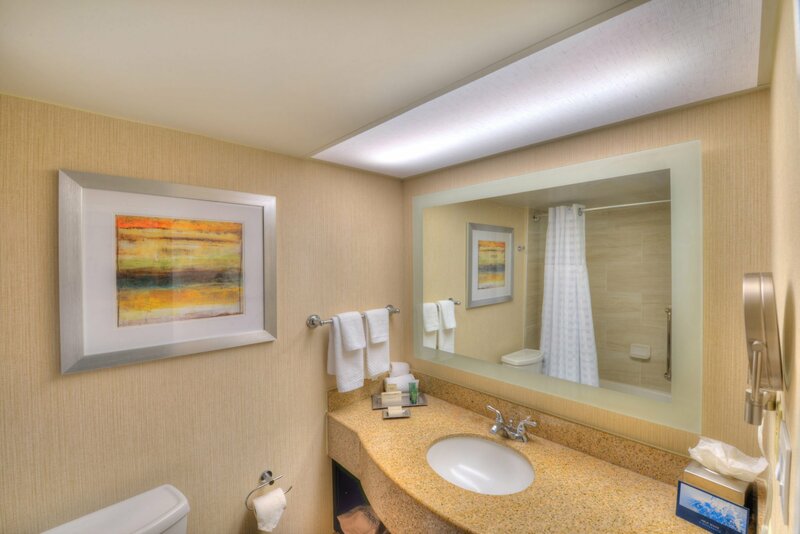 Laurie's Spa Room with Bryce Groark's The Pod design. 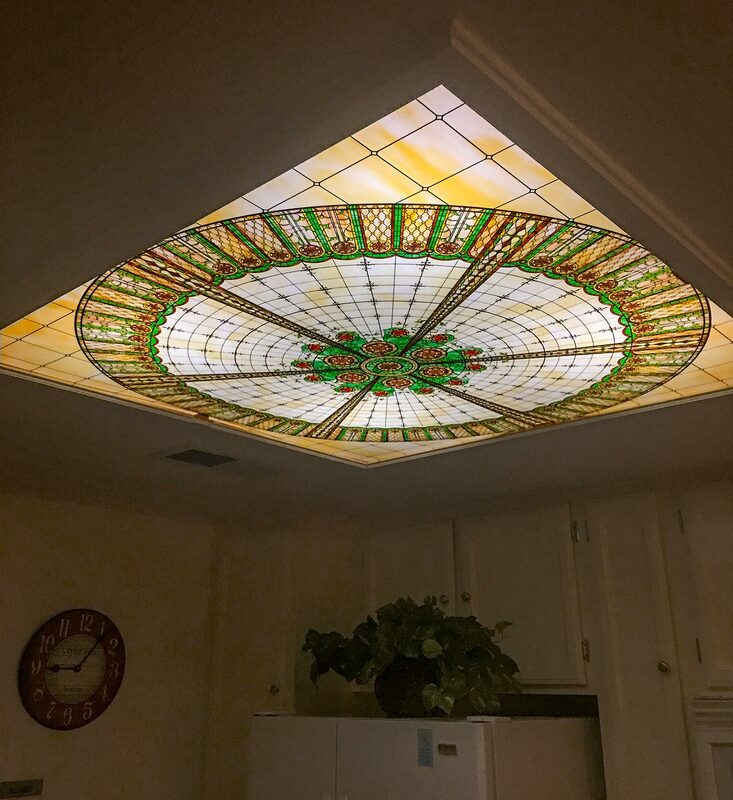 Our Virtual Stained Glass Dome Ceiling 48" x 48"
Our high quality, non, yellowing, white acrylic .060"
Brad's Installation - The inspiration behind our Stained Glass 11 design!